The 2015 Cheltenham Festival runs from the the 10th to 13th of March, and we’ve already offered our tip for the first big race of the week – The Champion Hurdle – in our Festival Betting Guide to Day One. Day Two of the action features a number of top races, with the clear highlight the two-mile Queen Mother Champion Chase. Some consider it the best race of the week, as it’s run at breakneck speed with the very best chasers doing battle over the shortest trip. It’s supported by six more top-class races, including the RSA Chase which could potentially feature some Gold Cup stars of the future. The RSA Chase is a Class A Grade One steeple chase for Novices’, open to horses aged five and above. It’s run over three miles and half a furlong – just shy of the Gold Cup trip – and usually features the horses who are considered by their trainers and connections to be potential Gold Cup runners at the following years festival. It has had some big fields in the past, although the current safety limit is 20, and has often sprung a surprise. That may be why only seven horses since 1959 have actually gone on to win the Gold Cup after winning the RSA Chase, but nonetheless, some of this year’s runners will be fancied in the big one next year. Kings Palace has been aimed at this race by trainer David Pipe, and with the uncertainty over his principle contender, he is probably the one to side with for favourite-backers. The six year-old won twice by wide margins at Cheltenham last year over hurdles, and has won his first two races over fences at the same track in impressive style. Pipe plans to give him a warm-up run en route to the festival, and he has plenty in his favour. One potential negative is that this race tends to be run at a fierce pace, and he may be taken on for the lead if the plan is to jump to the front early. The other, of course, is the presence of the other ‘star’ of the line up, Don Poli. It seems incredible to some that connections would even consider bypassing this race when the horse is already being talked about as a potential Gold Cup winner, but such is their desire to win the four-miler, that they may take a different route with Don Poli. That makes him impossible to back at this stage, but if he does run, he might be available at odds of around 4/1 5.00 +400 4.00 4.00 -0.25 closer to the time, which still wouldn’t be too shabby. Coneygree is another top novice, who also holds a Gold Cup entry, but has been trained with the RSA in mind. He’s probably short enough in the betting at this stage though, particularly as he’s yet to tackle the fences at Cheltenham. The Young Master is another top class novice chaser, who has won three times over fences this season (four if you include the Badger Ales Trophy in which he was disqualified), and his trainer, Neil Mulholland has confirmed he will head straight to the festival without another warm-up run. Valseur Lido would come into the equation if Don Poli doesn’t run, but is the stable’s second string at the moment. We’d rather take a chance on an outsider in Paul Nicholl’s Southfield Theatre. He comes here from a very different route, via handicaps, but he has some excellent form and could make the step up. He jumps well, he loves the course, and in a race that sometimes throws up a shock, he looks a great each-way bet. The Queen Mother Champion Chase is, predictably, all about Sprinter Sacre in the build-up. One of the best race horses to jump fences, Nicky Henderson’s charge won the Champion Chase in 2013 without breaking into a sweat, and he currently holds the highest timeform steeplechase rating of the modern era of 192p. He went on to become the first horse since Istabraq in 1999 to win at all three spring festivals – Punchestown, Cheltenham and Aintree in 2013. His chasing record was 10 from 10, when he was pulled up on his reappearance the following season and it was confirmed that he was suffering from an irregular heartbeat. He missed the rest of the season, but made his reappearance this year on the 17th of January at Ascot, when he was beaten by Paul Nicholl’s horse Dodging Bullets. You can watch that race here. Henderson feels that Sprinter Sacre tired in that race, and could strip a lot fitter when he reappears at the festival. He will have to make up those few lengths on Dodging Bullets, but his jumping remains imperious and the racing public will be waiting in anticipation to see if he retains his abundant ability. If he does, there isn’t a horse in the line up who can get near him, but that’s a big ‘if’. Last year’s winner, Sire De Grugy, will have a warm-up run this week before returning to Cheltenham to defend his crown, and if there is a chink in Sprinter Sacre’s armour, he could be the one to take advantage. Dodging Bullets beat Sprinter Sacre in that race at Ascot, but it was clear that Barry Geraghty was taking it a little easy on the great horse, and the ground may have also been a bit softer than ideal. Nothing should be taken away from Dodging Bullets and he comes here with a live chance, but if Henderson’s horse is back to his best, it will be a tough task for Paul Nicholl’s chaser. 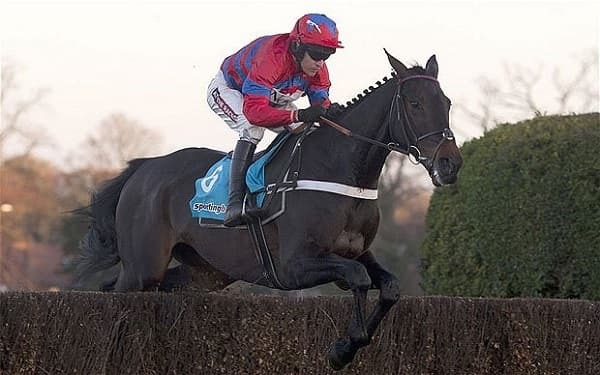 There will be fewer popular winners at the festival than Sprinter Sacre if he can put his injury problems behind him, and bearing in mind that he was sent off at 1/4 1.25 -400 0.25 -4.00 0.25 for the 2013 Champion Chase, the price about him this year could look ridiculously generous if he retains that ability. It’s a chance worth taking.